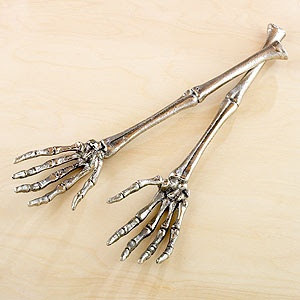 I happen to be part of the minority that thinks skeletons make perfectly acceptable decor year round. 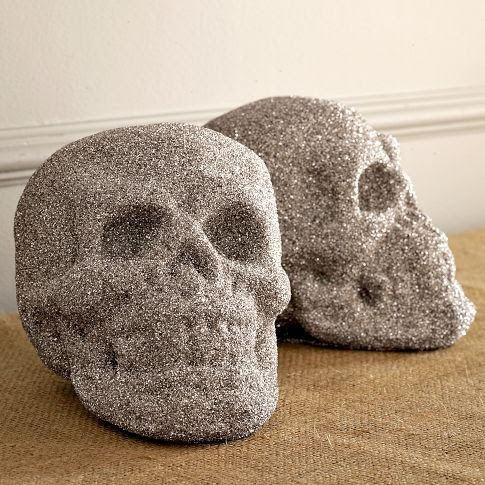 I love them and can't help myself - maybe it's my New Mexican roots and all the Dia de los Muertos imagery floating around my trips there as a kid, but oh man, I adore them. 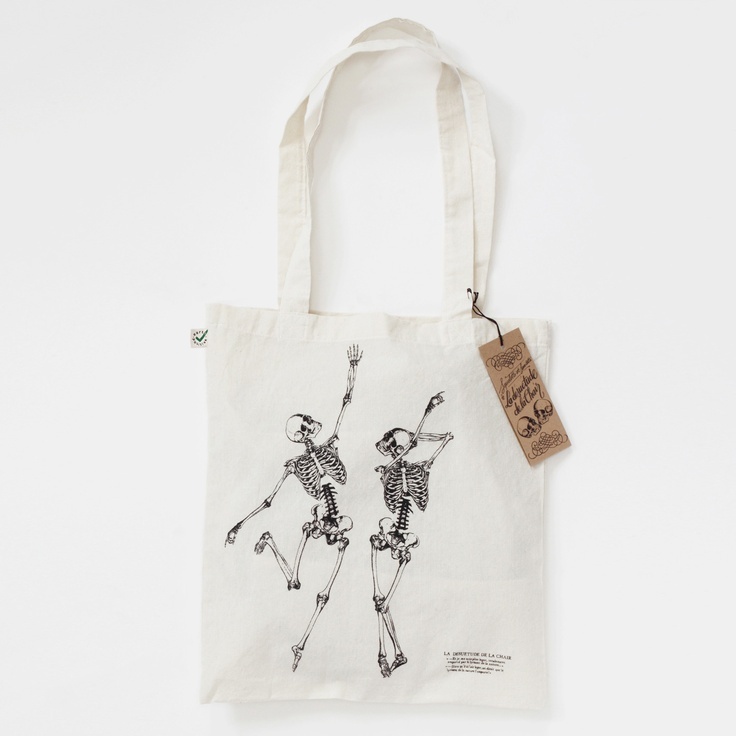 Using the impending holiday as an excuse, here's a round up of some of the coolest skeleton themed gear I've spotted this season. 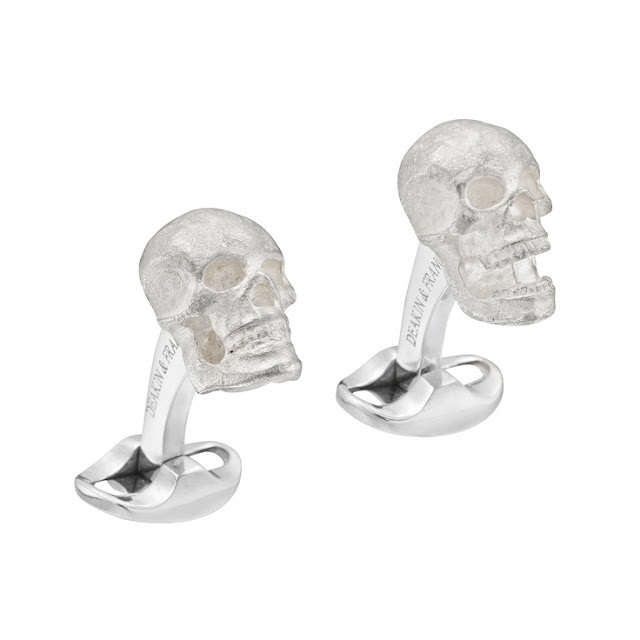 Awesome (and pricey) cufflinks. Love that one has his mouth open. 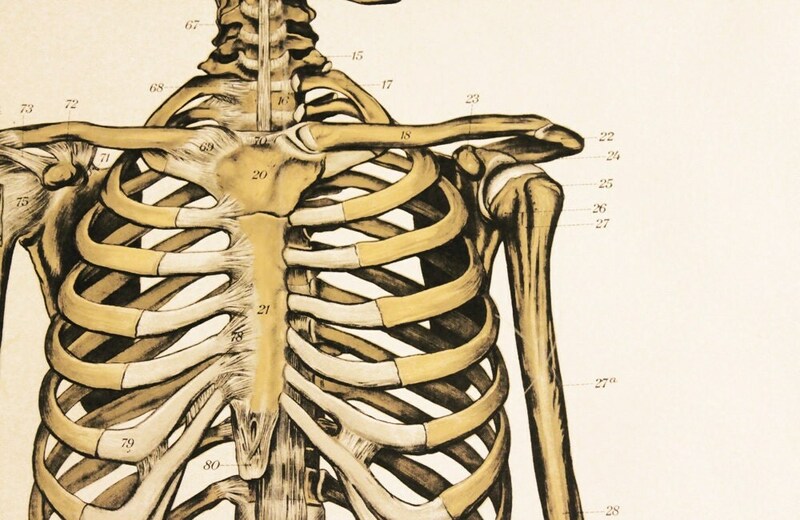 From Betteridge. 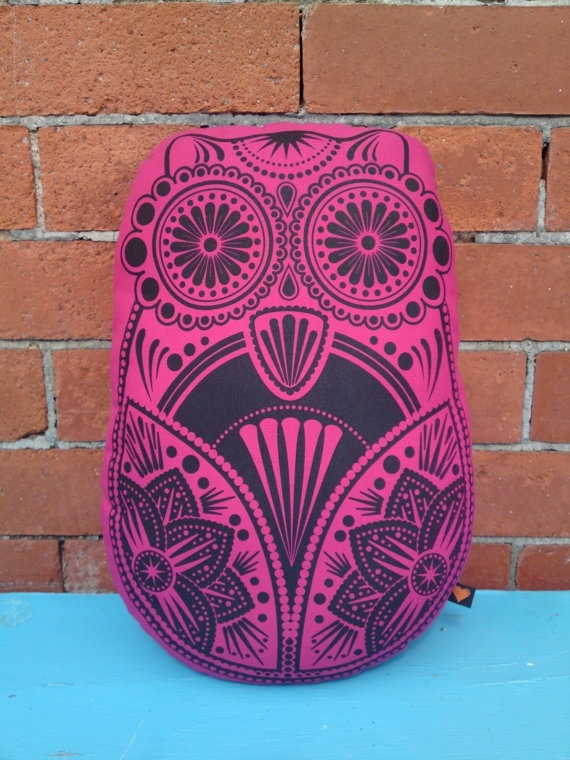 A more playful day of the dead take on an owl on a pillow - by Liw Banks on Etsy. 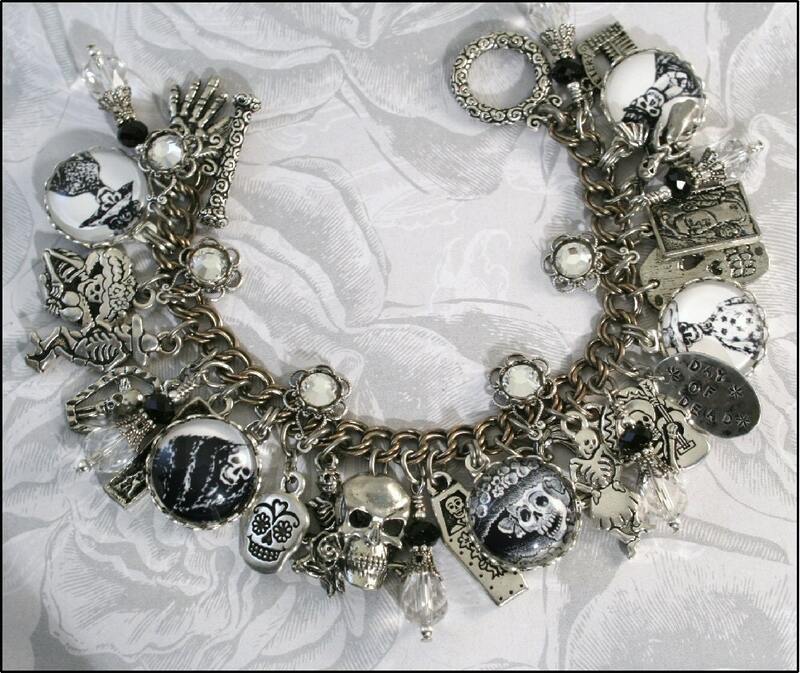 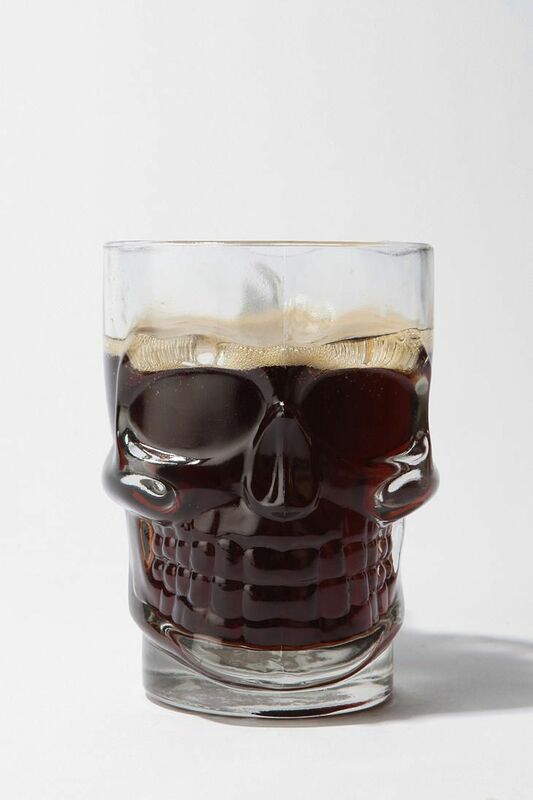 Skull stein - from Urban Outfitters. 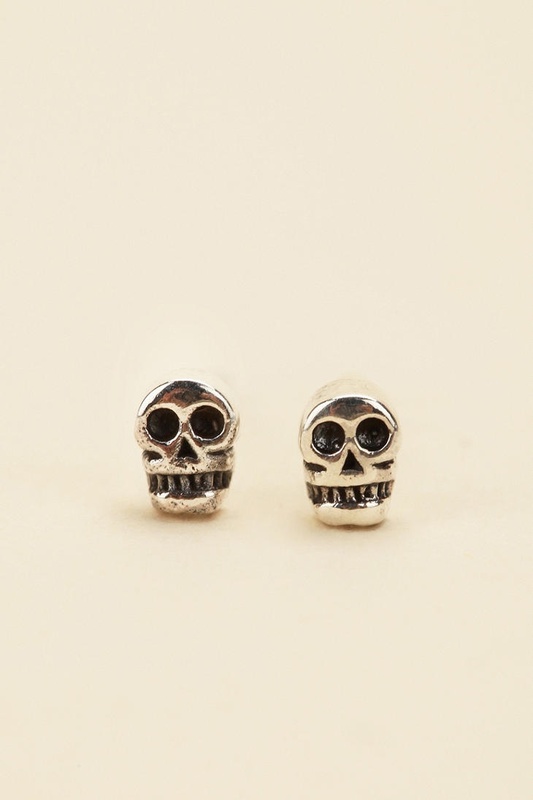 Teeny tiny skull stud earrings - also from Urban Outfitters. 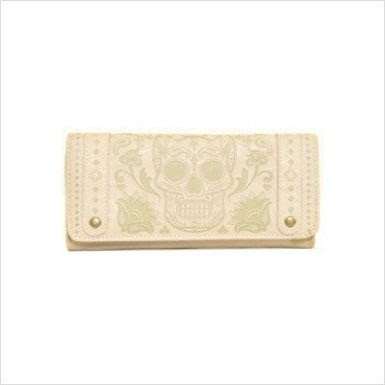 Slightly subtle sugar skull clutch wallet - from Loungefly on Amazon. 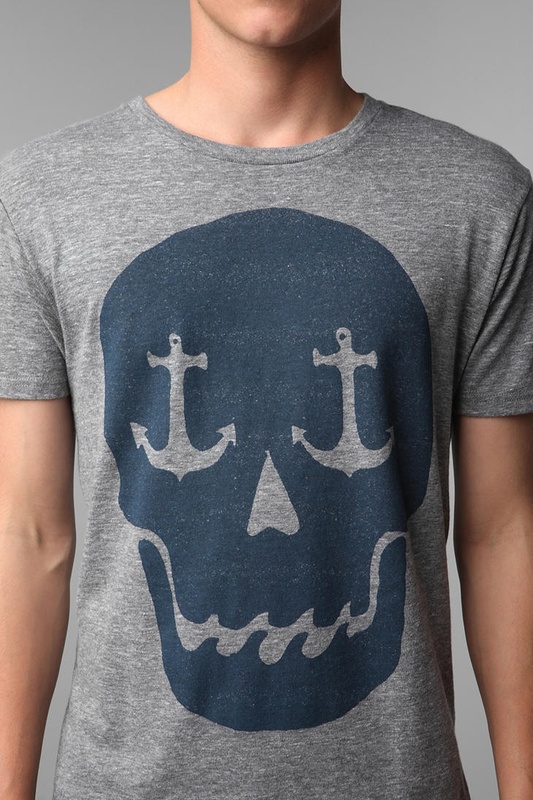 A more nautical take - another from Urban Outfitters. 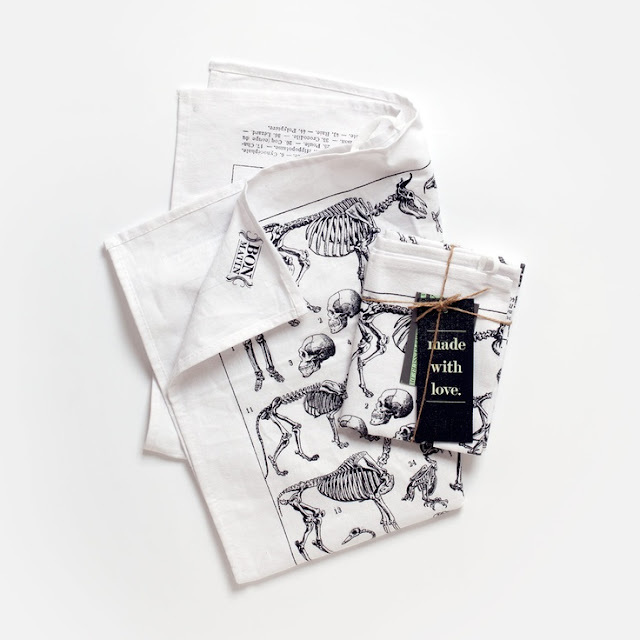 The coolest dish towel every - from Bon Matin. 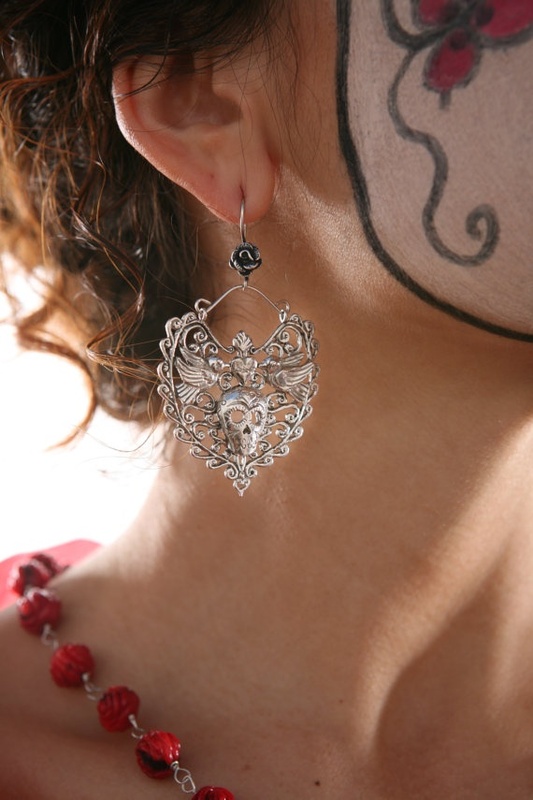 A little more dramatic (and dangly) earring choice - from Paulette Avila on Etsy. 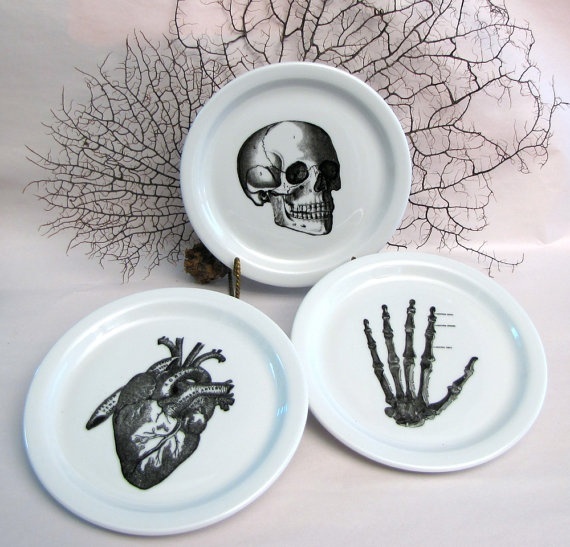 Anatomical china - from Austin Modern on Etsy. 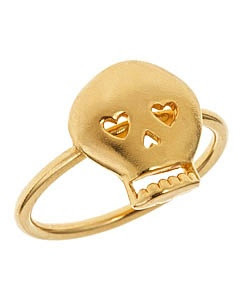 A slightly sweeter skull ring - from Alvina Abramova, cute earrings too!